Lets face it, no matter how careful you are, you’re going to have to deal with spills and other fabric related mishaps. Being fashion conscious doesn’t mean that you’re less likely to make a mess. And yes, a simple wash or a trip to the dry cleaners can solve that problem. But frequent trips to the local cleaners can take a toll on your wallet. So, what is the solution? Start by embracing technology. Fabric technology is advancing at an alarming rate. Discovery of synthetic materials are providing clothing designers with the ability to manufacture outfits that are more durable, water resistant and wrinkle free. With these new materials anything from pants, shirts, jackets and even jeans can be made more stain repellent. Your clothing won’t be completely water or stain proof, but it’ll lessen the blow left by some serious stains. The same can be said about “wrinkle-free” shirts. They won’t be completely “wrinkle-free,” but they are much easier to maintain and require far less ironing than the average shirt. In the wrinkle free department, chemically enhanced cotton allows brands like LL Bean, Gap, J. Crew and Banana Republic to offer a collection of soft and low-maintenance shirts. They also come in a variety of collar designs; from spread to the traditional point collar. But before running out to raid the shirt aisle, remember that they are wrinkle-free to a certain point. After some use, ironing may be required. The term stain-repellent and hydrophobic are two terms that are synonymous to each other. The hydrophobic characteristics of a stain-repellent clothing prevent liquids from being directly absorbed into the fabric. They often remain as small beads above the fabric. The wearer can then wipe off the liquid using a tissue without the fear of smudging and staining. Whether you’re a cubicle creature, a king of the hill or a window office executive, a nice clean shirt is a staple in your wardrobe. In the meeting room, a sit-down with clients or social gatherings, a form fitting shirt could make or break any situation. And even if you are stylishly oblivious, you might’ve noticed that the shirt pattern that looks oddly familiar to a traditional picnic table cover is trending. Because of this, the shirt game is saturated with brands that carry this style. First off, if you’ve been calling it the “picnic table pattern”, lets start off by calling the shirt design by its rightful name, “gingham”. Twillory follows this same design trend with a collection of gingham shirts; with spread and button-down collar options (for more info on collars). Made in five colors, all the shirts ooze quality and an attention to detail. Any brand can stitch similar fabrics together and sell it for competitive prices. But the gingham shirts from Twillory, give the feeling that you are getting more than what you paid for. The fabric is hardy yet smooth and it feels like the shirt can handle many washes and battles with the iron. At a 120 cloth count, it is tightly woven. Also, the cuffs provide an extra bit of adjustability with another set of buttons. Up front, the shirt is adorned with mother of pearl buttons; commonly found in high-end shirts. And remember that “attention to detail” feel mentioned earlier, well the spread collars come with steel collar stays. For $79, it is rather affordable for what it offers. But, be sure to know your measurements. An individual with a small body frame might find a medium, loose fitting for a tailored fit. Find them at Twillory. In his posh second floor studio overlooking Bryant Park, designer Nick Graham, creator of Joe Boxer, showcased his upcoming collection of shirts and ties. While all of NYC was enjoying an unusually warm fall, the tables, shelves and hangers inside the studio were adorned with colorful apparel; giving a spring/summer vibe. With this season in mind, Nick developed styles and patterns synonymous with that time of the year. Shirts in different shades of green, blue, yellow, red, gingham and pinstripe patterns were just a few of the items on display. But the event wasn’t all about shirts. The line also showcased bows and ties, in the similar eccentric yet tame designs; funky lobsters, red camo and crossbones to name a few. The collection is sold as single pieces as well as sets; tie and shirt. Tastefully prepared, they are catered to the consumer who needs a little boost picking colors to match. Style Kits are priced at $99, shirts alone for $69 and bows and ties for $59. You can find the new line at Macy’s or at Nick Graham. LG setup shop in a second floor studio in the Flatiron District (NYC) for a presentation and demo of their OLED displays. Media and executives congregated in a small showroom with four TVs; two LGs, and two Samsungs. A brief presentation at the start of the event showcased the progression of LG TVs and its current state. Making comparisons between standard LED and OLED, the LG executive emphasized the importance of OLED technology in TV’s future. The presentation touched up on the progress they were making in regards to releasing newer and larger models. The difference between standard LED and OLED were pretty obvious. LG’s OLED displayed richer colors with increased vibrancy and saturation. Objects on display seemed sharper and more life-like than the, soon to be antiquated, LED displays. A LG rep even held up a real strawberry to give a better comparison with the one on the screen. On the Samsung side, the colors were flat with a good amount of glare. The LG displays fared well in direct sunlight and against the overhead lights. To show the difference between the curved OLED TV’s field of view to a standard LED, triangular mats were placed in front of each display symbolizing what you’d see. It would have been better to see a side-by-side comparison with Samsung’s curved OLED displays. But, we had to settle for their LED lineup. Regardless, in terms of picture quality, design, weight and more importantly price, LG was the winner. The retail prices for Samsung’s OLED displays are at least two-times more expensive. Coming in at just over $3,000, the LG OLED displays are quite a bargain over their Samsung counterparts. In a world of on demand everything, the Shortcut app brings you yet another service right to your door. But instead of offering taxi service, it connects customers to door-to-door barbers. Offering high quality haircuts in various styles, Shortcut is quite simple in practice. Download the free app on the Apple App store, create an account and request a service. The app will then choose a barber to suit your style and send them to your door. A cut for one person is rather expensive, but it gets cheaper if you add more customers to a single visit. Shortcut provides service from 8am-12am; more hours than a local barber. For more info, check out the Shortcut website. If you live in an area with seasons, you are probably picking up all the signs of winter by now; the chilly mornings, leaves changing color, pumpkin spiced latte at Starbucks and increased coat presence out on the streets. This is the time to think coats or a form of covering for that thin suit you’re wearing. Some of the choices are pretty obvious, but it doesn’t hurt to get a refresher course on a few warm and chic coat choices. First up, is the traditional overcoat. Classic in design, it is a safe choice for keeping warm and adding layers to your outfit. Commonly found in cashmere and wool, the latter is recommended over the other. The cashmere material is soft to the touch and quite warm, however it isn’t as durable as the wool and rather unappealing when it starts to show wear. If you plan on keeping your overcoat for a prolonged period of time, go with the wool. Made popular by navy sailors, the classic peacoat is a chic choice for a jacket. Worn over a suit, it provides that extra bit of layering and color. Also found in cashmere and wool, the traditional peacoat has large lapels, two adjacent column of buttons and two vertical pockets on opposite sides. Worn over the suit, the downvest provides a casual look that is gaining in popularity. Worn over a navy blazer, a brown vest adds a subtle splash of color that is perfect for the fall/winter season. With its often cone shaped buckles adorning the front of this jacket, the Duffle Coat is a rather popular choice. But when worn over the coat, it offers that extra bit of warmth, comfort and chic styling. Much like the overcoat and the peacoat, it is an almost timeless design that simply works every fall/winter. Now this next one isn’t a jacket per se, but it plays a similar role. If you’re thinking of upping your dapper level, a cape over a suit is the answer. Functional and stylish, the cape is sure to turn heads and make an impression for any occasion. New York based designer Alex Caputo shows off his Spring/Summer 2015 collection at his Hell’s Kitchen studio. Inspired by a recent trip to the island of Bali, Alex provides a tropical flavor full of blues, greens and yellows. The collection consists of a variety of unisex bracelets, belts, bags and other accessories. For this season’s bags, the designer uses strong, waxed canvas coupled with Vachetta leather; known for pleasing patina after some use. They come in messenger, tote and luggage styles; all with South American/Balinese influences. A notable design in this year’s collection is the unique zig-zag pattern; made to symbolize a body of water. The patterns can be found in blue, green, yellow and orange hues throughout Alex’s tote bags, bracelets and belts. Set to land February 2015, find them at Caputo & Co, Barneys, J.Crew, Nordstrom and other retailers. Who Needs a Compliment When in Balmain? Today, when we talk Balmain, we talk creative director Olivier Rousteing. Sparing the details, the man is as confident as you should get and his clothes don’t shy away from that title. Below you will find images of the men’s F/W 2014 collection and you will realize that the Rousteing touch requires no stamp of approval. Rousteing worked a safari theme and played with colors of green, khaki, and camel, and exotic animal prints from leopard to zebra. The collection screamed organic extravagance, and expanded the world of Balmain. Balmain this season brought you leather jackets and drop-crotch Jodhpur trousers in olive drab; and printed leopard jackets in pony skin. The collection also included and slip-on sneakers and evening shoes. The collection merely represented his new direction and remaking of Balmain: “It’s being more myself; my music, my style, my generation,” he said. Persol is an Italian luxury eyewear company specializing in sunglasses. The name is translates to “for the sun.” Formed in 1917 by Giuseppe Ratti, Persol originally catered to pilots and sports drivers. Presently, the company is famous for its durable sports sunglasses. Its trademark is the silver Supreme Arrow, and several of the company’s glasses feature this symbol. One feature that sets Persol sunglasses apart from other brands is the Meflecto system. The Persol Meflecto is the world’s first flexible stem system that sets maximum comfort by allowing the glasses to adapt to the shape of any face. So not only is Persol fashionably outstanding, but comfortable as well. The Persol glasses are famously famous in the celebrity universe. You have seen Persol on Chris Brown, even James Bond wore the PO2720S Polarized, UV Protection Persol sunglasses. To learn more about Persol, look here. Avoiding breaking your bank while proposing with diamonds might seem impossible, but not with O Fée’s elegant new engagement rings. Offering accessible and elegant engagement rings, O Fée presents its Pop collection featuring delicate rings in 18-carat yellow, rose and white gold and the gentle glint of a flower-shaped grouping of diamonds. While it is the season to head to hot spots such as Mykonos and Ibiza, it calls for changing time zones in style. Topping the list with its classical charm, the Goyard Palace trunk is the must have personalized accessory this season. With its exceptional heritage, Goyard is a drawn inspiration that stands uniquely amongst other fleeting trends. Goyard labels itself as a timeless design that will appeal to customers looking for uncompromising exclusivity, unparalleled craftsmanship and aesthetic refinement. • Travel goods: Goyard provides travelers with all the accessories needed for a stylish getaway such as; trunks, hard-sided luggage, trolley cases, vanity cases, hat cases or weekender bags. • For men and women: Goyard offers a large choice of handbags, tote bags, pouches, briefcases and clutches with an equally large range of matching accessories: wallets, change purses, diary and check-book covers, and business-card holders. • Personalized orders: Goyard personalizes trunks and luggage. Each piece is unique and entirely hand-made, just like in the 19th century. • Pet accessories: The « Chic du Chien » line was launched in the late 19th century by Edmond Goyard. It features collars, leashes, bowls and dishes for pets, and is sold exclusively at the Chic du Chien boutique, 352, rue Saint-Honoré in Paris. The long-lasting sustainability of Goyard products is a plus since the line doesn’t change every season. Minimalism is a style that uses pared-down design elements, to simplify it’s minimal art. By being a minimalist you are part of being more with less. The fashion industry can get pretty overwhelming; everyday a new trend comes to life. Designers have made the list from A to Z fairly indigestible and when you want to simply follow a trend, you find yourself comparing it among a minimum of 100 designers. This is when choosing becomes more important than buying. This Fall season you are avoiding looking into your stuffed closet and thinking, “I have nothing to wear!” and will know exactly what to wear. The doctor’s carryall, physician’s saddle bag or the classic medicine bag was the accessory of choice for traveling doctors as far back as the American Civil War. Commonly made of leather, it held all the essentials needed to perform any basic on-the-field procedure. The physician’s saddle bag, made famous by pop culture, had a rectangular bottom with a tapered top and a set of handles attached to both sides of the opening. 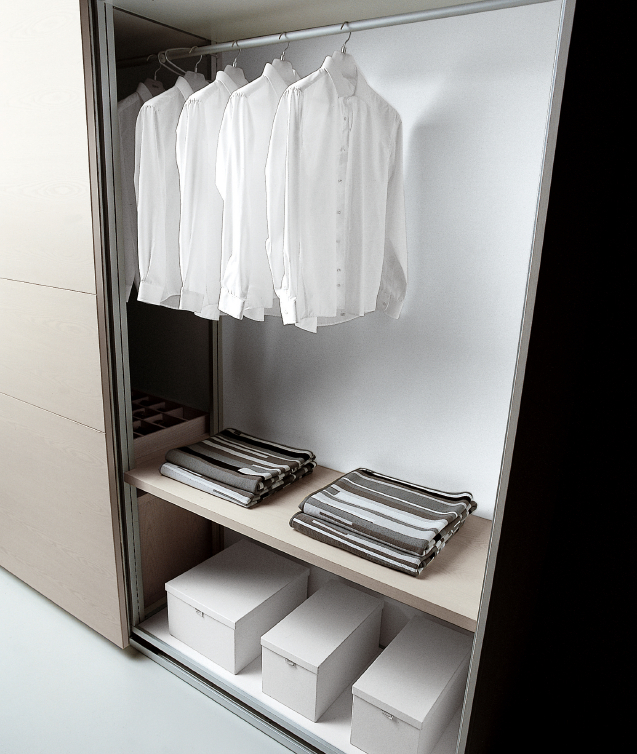 A wide, rectangular metal frame around the opening allowed for easy access to the interior compartments. And one or a set of leather straps held both sides of the clamp to fasten it together. Used more as a tool and less like a fashion accessory, the bag’s rise to fashion fame was due to it’s appearance in movies and TV. Characters like Mary Poppins were seen carrying a floral medicine (or carpet) bag throughout the movie. The gun wielding, tough-as-nails Granny Clampett from the 1962 sitcom “Beverly Hills Hillbillies”, also had one nearby. The purse like appearance of the medicine bag and its debut on the big screen made it an easy transition from a doctor’s essential accessory to a women’s purse of choice. Now that murses are more accepted by men, the physician’s bag is fitting in among the other designs. Brands like BillyKirk and Wood & Faulk provide classy and modern designs. Using waterproof, durable canvas and leather, these two brands offer high quality, hand-made goods manufactured here in the USA. Is it For Her or For Him, Jonathan Saunders? Adding the contemporary spin to the cricket sweater, Jonathan Saunders reinvents his knitwear collection with the Leanne merino wool sweater. The dual colored sweater is the perfect piece to invest in if you are a supporter of the matching outfits trend. The Leanne merino wool sweater is the perfect way to approach Fall, while holding on to summer with the baby pink and turquoise colors it is available in. This V-neck style is knitted from luxurious merino wool and has the perfect slouchy fit. The versatility of this piece allows you to wear it with anything, which defines the unisex approach. “Can’t wear skinny jeans ’cause my knots don’t fit” Was definitely the ongoing motto for Acne Studios Spring/Summer 2015 collection. Below is a link to the collection of Acne Studios Spring/Summer 2015. The obvious is obvious! The collection is still richly portraying late trends that have been translated numerously to becoming a global language. The elements of oversized, plaid and leather are still part of the image. But, the execution gives it an Acne touch that is undeniable. Comparing it to Fall 2014, the difference minimal, it just feels warmer which is normal for the season. Oversized remained the most obvious, from top to bottom, the pieces were maximized. When it came to colors, Acne Studios opted to earthy colors that represent Spring such as: yellow, green, brown, and burgundy. The collection remained low key compared to the previous Spring collection. When looking for sartorial inspiration, you have many different sources. From Pinterest to Instagram, the list goes on. Instagram alone has 139,484 posts under #sartorial. And the amount of sites and images dedicated to the sartorial lifestyle are blossoming on Tumblr as well. With its minimalistic and often ad-free environment, Tumblr is an easy choice to get your sartorial fix. Depending on the site, the images are larger as well. So in honor of Tumblr Tuesday, I present to you the top sartorial Tumblrs. If you’re a frequent browser on Tumblr, it’s no secret that the site is a source for images. Taken from sites and photographers all over the Internet, text based Tumblrs aren’t as common as the image based ones. So, it is quite refreshing to see blogs with wads of text in them. This is where, “Put This On” excels. The writer provide readers with insightful, image rich posts in a digital environment that often focuses on images. Much like the other sites on the list, “Beyond Fabric” is very sartorial heavy. But unlike the other sites, there is a greater focus on the lifestyle of a sartorialist. With a healthy mix of text and images, Beyond Fabric gives readers a taste of what it means to completely immerse oneself in this culture. So, you’ll see some vintage cars, bikes and environments. “Your Style Men,” is another one of those sites that offer a collection of sartorially rich content. Organized in a grid-like pattern, the layout efficiently packs content per loaded page. The images are rather choosy. If you’re looking to be inspired sartorially, this is a site worthy of taking up space in your favorites list. Another great website, “Aggressively Sartorial” follows a minimalistic formula. The options to like, share, reblog or zoom are cleverly hidden only to be revealed when moving the cursor over the image. The site is set to continuously load past content, so you get more photographic goodness before having to wait for new images to load. This last one deserves high marks for content and layout. The layout provides viewers with a minimalistic view, quite common on Tumblr. And by sharing one decently sized image per post, readers can focus on one special image at a time. It’s an image packed blog that definitely warrants a look.